Any patriot will enjoy the company of our new American Gnome in their backyard, proudly displaying his American flag and wearing his stars and stripes! 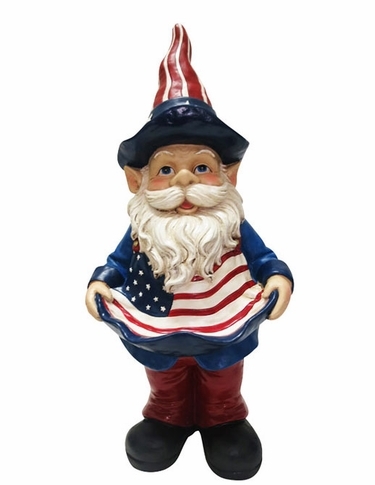 His friendly expression, long white beard, American flag hat & jacket will bring pride and joy to any garden space. Save Extra when you purchase the Patriot & American Gnomes together! Also available in a much larger 22" Americana Gnome size!